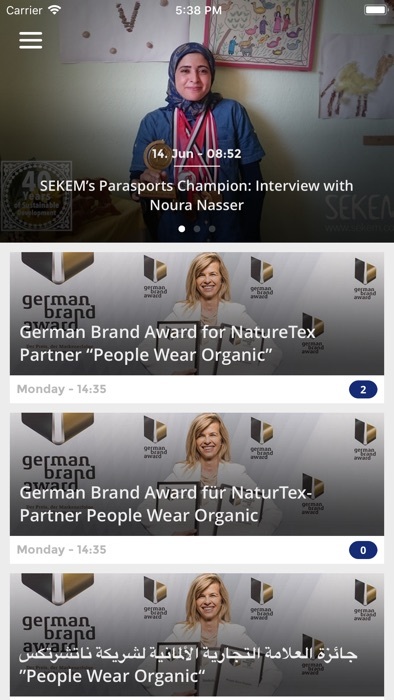 The year 2017 has been a very special one for SEKEM. In spring, the whole SEKEM community and many wonderful friends from all over the world celebrated the 80th birthday of my father and SEKEM’s founder Ibrahim Abouleish. 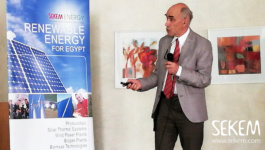 We honored his life-work: the realization of a sustainable community in the Egyptian desert that serves the holistic development of people. On the 15th of June, my father passed away. His farewell to the earthly life was certainly painful for all of us – but the gratitude for all he has done for and with us prevails our sorrow. We are full of trust and commitment to continue the path of development that he had started. His spirit is still alive in SEKEM and in every one of us. 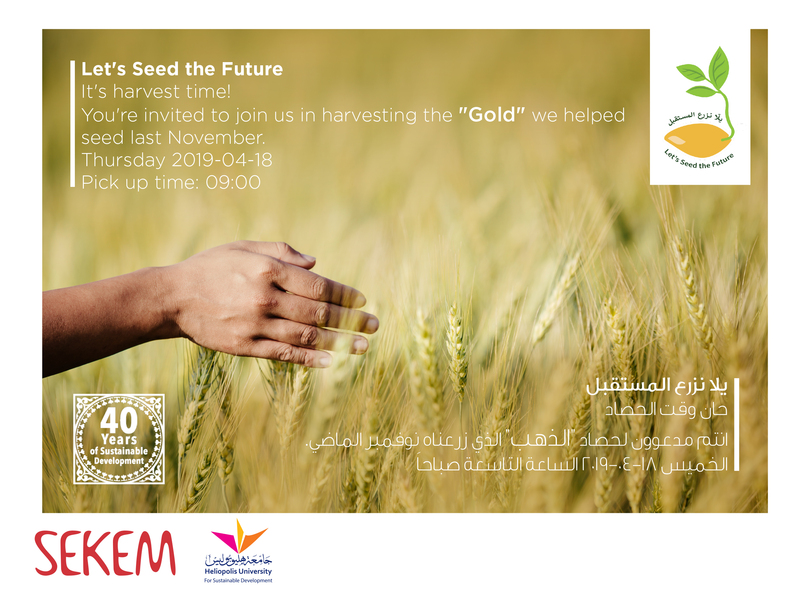 That became apparent in autumn when we celebrated the 40th anniversary of SEKEM Initiative. Again, all our co-workers, partners and friends came together and showed how the SEKEM vision is carried by them into the future. It was always my father’s goal to address societal challenges holistically. Following his lead, we continued to formulate our vision and mission for 2057 in all four spheres of life. As my father accomplished a miracle in the desert within the past 40 years, we also wish to realize many more miracles inspired by his philosophy. The intensive year 2017 was filled with determining turning-points in SEKEM. 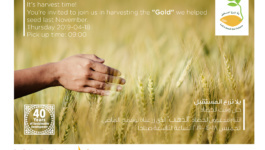 Besides our own transformation journey as an organization and community, the situation in Egypt is still challenging us. However, we are full of confidence looking into the future, as my father showed us how especially out of hard times and burdens, development opportunities arise. SEKEM was founded with the idea of sustainable development and building of a prosperous future for the surrounding communities and Egypt. The vision that brought Dr. Ibrahim Abouleish to dig the first well in the vast desert land still resounds in SEKEMs approach of conducting business. 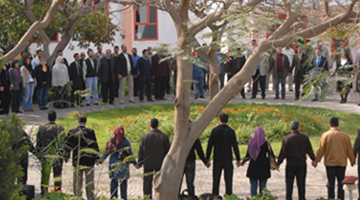 Like a compass, the vision, mission and values guide the employees in the everyday work in all SEKEM companies. 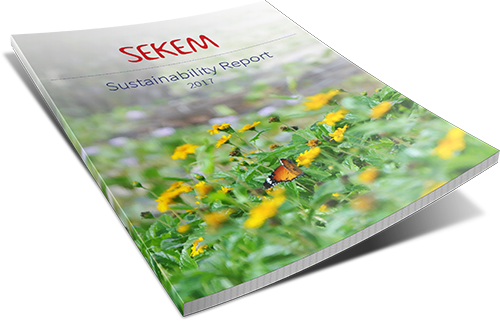 SEKEM has developed its annual sustainability report since 2007 in order to measure its performance within the different aspects of sustainable development. This report is meant as an internal reporting and measurement tool, however share it transparently with whomever is interest to read it. The Sustainability Flower reflects the fourfoldness of sustainable development, with the ecological dimension broken down into separate elements and spheres. 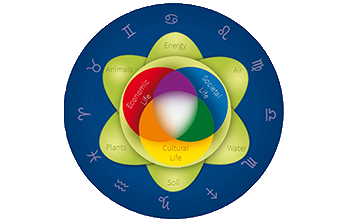 The Sustainability Flower represents a management, assessment and communication tool symbolizing the concept of sustainable development in its four dimensions (economic life, societal life, cultural life and ecology with its six sub dimensions). 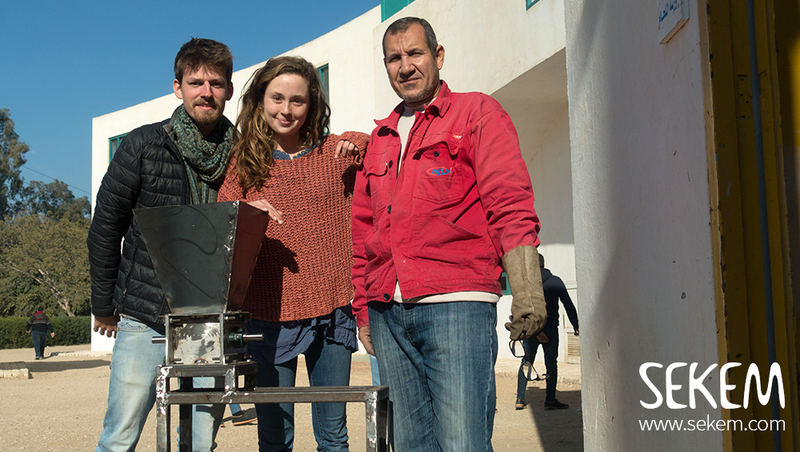 SEKEM is convinced that only sustainable agricultural methods such as Biodynamic agriculture can secure the rising food demand of the coming 50 years. Here is a short explanation of food security and SEKEMs opinion how to address the problem.